SEO (Search Engine Optimization) writing, as a distinct style, was born in the Internet era and has matured before our very eyes in a relatively short span of time. Although it is evolving and maturing still, and will continuously do so, we can define some of the tried and tested steps of content optimization to help unique pages place at or near the top of search engine rankings. 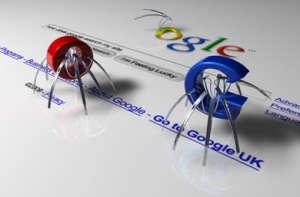 Some experts go on to say that the goal of SEO is two-fold, with the first objective to put out the appropriate "bait" for search engine spiders and the second to serve up useful information to people who want and need it. Debates about priorities continue among SEO professionals, but it is not a good idea to devalue the human factors in any success formula. The singular goal, then, would be to develop, position and refine content in such a way as to satisfy all visitors to the page and/or site, both human and bot alike. "Content is king," goes the old saying - and not only is good content king, it is becoming more important with every passing day. But the term content is best taken in its broadest sense. Content is not simply the written copy placed in a document, assembled on a page, or aggregated at a site. It includes all this, of course, but content actually comprises titles, headings, tags, intra-site links and external links, as well. All of these components need to work together and form an interconnected whole so that both search engines and humans find the right things, come to the right conclusions and, most importantly, make the right decisions. Good writing is always targeted to the audience, and you are writing for an audience of two readers, human and software. Remember these two components of the audience and find creative ways to reach both of them at the same time. Titles are critically important - they are usually the first thing read by both real and virtual visitors. A title is the "primary topical identifier" and, as such, has an invaluable function - again, a dual-purpose one. It must contain keyword targets at the individual word level while stoking interest in potential readers at the phrase level. When a person performs a search, the title is both their first indication of your relevance to their needs and your first chance to compel them to click through. Search engines, more clinical and objective, give the title importance because they see it as an indicator of the page's main idea. Yet many pages on the Internet have no title at all, or share "Home" and "Untitled" with several million others. There is no excuse for this oversight. The ignorant cousin of these mistakes, making the company name by itself the title of every page, is just as bad. Keywords relevant to the page should be part of every page's title. Heading tags carry some importance too. Simply put, heading tags define the headings and subheadings of your article to both readers and spiders. By default they appear larger than normal text and are bolded. While not a magic ranking bullet, they are looked at with more importance than average text and are a chance to show spiders the themes of your content and what keywords you wish to rank for. The H1 tag is the main heading of your article and carries the most importance, like a headline in a newspaper article. It should clearly convey the article's topic to the reader and main keywords to the search engines. H2 tags are one level down in importance and structure. Use them to define subtopics under your main topic, and again use keywords where descriptive and useful. If you needed to break down your article to sub-sub-headings, you would use the H3 tags, and so forth. For both human and robotic readers, it is vital to keep page content focused. The "one topic per page" rule is an unwritten one, certainly, and it's followed by most professional content developers. This has less to do with the intelligence of the readers (either kind) than it does with several other considerations. For one thing, search engine "crawlers" have algorithms that tend to work best on one concept at a time, and most humans work best this way, too. In addition, limiting the focus eases the task of placing keywords in the meta descriptions, page title, body copy, tags and links. Finally, dealing with more than one topic necessarily means using more verbiage, which dilutes the potency of a site-wide SEO program and may negatively impact ranking. Better to give these other topics their own content, strengthening your site's overall informational authority. Much ink has been spilled and many pixels propagated in discussing SEO techniques, analyzing strategies, teaching "web content" writing, and chasing changing algorithms. Mentioned less but encompassing everything is that SEO copywriting, like all SEO, is about balance. While articles such as this one can be helpful, it is important to understand that SEO will always evolve, change, adapt and improve. Study and implement tested techniques, but remain flexible and nimble. Writing for search engines and people at the same time is tricky and challenging at best, and can be frustrating and time-consuming, too. Approach the challenges in a businesslike fashion. SEO content writing at its best balances art with science, blending the craft of engaging the reader with the dispassionate analysis of keywords on a page. Follow best practices, but fill each article to the brim with information useful to your demographic. In simultaneously targeting a subject, an audience, and an algorithm, a great deal of creativity must take place to get effective SEO results. And, of course, it all has to happen in an environment that encourages short attention spans and constantly tries to lure people elsewhere. It is a major challenge to craft article titles and copy so compelling as to make people stop and read - or, better yet, stop and then clíck where you want them to. The basic approach to writing for such a dynamic, ever-changing environment is to get to the point quickly. The "USA Today" news style - which relies on short headlines, descriptive sub-headlines and a few concise paragraphs - is perhaps the best analogy for good SEO writing. The important points (keywords) should appear early and often, and within a short period of time the human readers should know what they are supposed to do, while the search engines should be able to tell what the page is about from a consistency between your page structure and your body copy. In the eyes of the search engines, everything that it can possibly see counts. That is, using image alt-text not only helps blind readers and people using phone- or text-based browsers, it also gives you another chance to add more descriptive strength to the overall page for the search engines. Do not miss any opportunity to further empower and refine your content. And always remember when writing for search engines - keep writing. Write write write. Search engine bots gorge on new information, and if you consistently update your site with fresh content they will come around more often. While this gives you more opportunities to display your value, more importantly it builds the foundation of information that obviates it. There's a lot to do, and it all needs to be done well. Use your numbers, metrics and analytics to point you in the right direction for creating more content. That's some science. Your creativity and amount of useful information, on the other hand, will point site visitors and search engines in the right direction. That's a touch of art. When both aspects of your SEO program are firing on all cylinders, you should soon be marching up the search engine rankings.